Class Schedule and Events – Love.Yarn.Shop. Second Fridays from 5-7. These casual social events are open to the public and require no pre-registration. 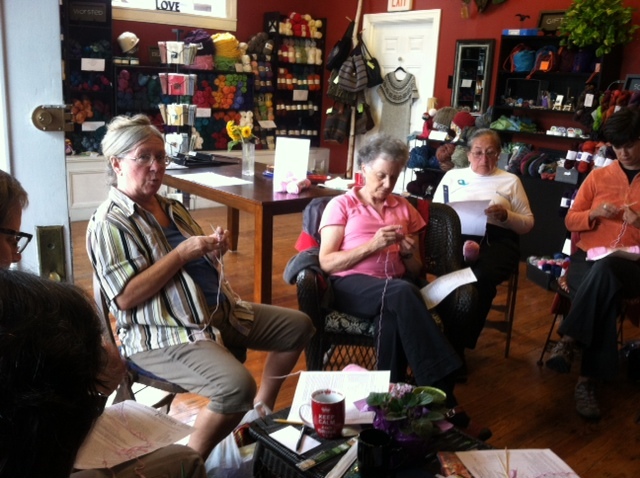 Bring your knitting or crocheting and enjoy the company of fellow fiber enthusiasts with some nibbles and sips. Special Sundays from 1-3 Although the shop is normally closed on Sundays, one Sunday of the month, we gather together to knit/crochet/felt projects for worthy causes. 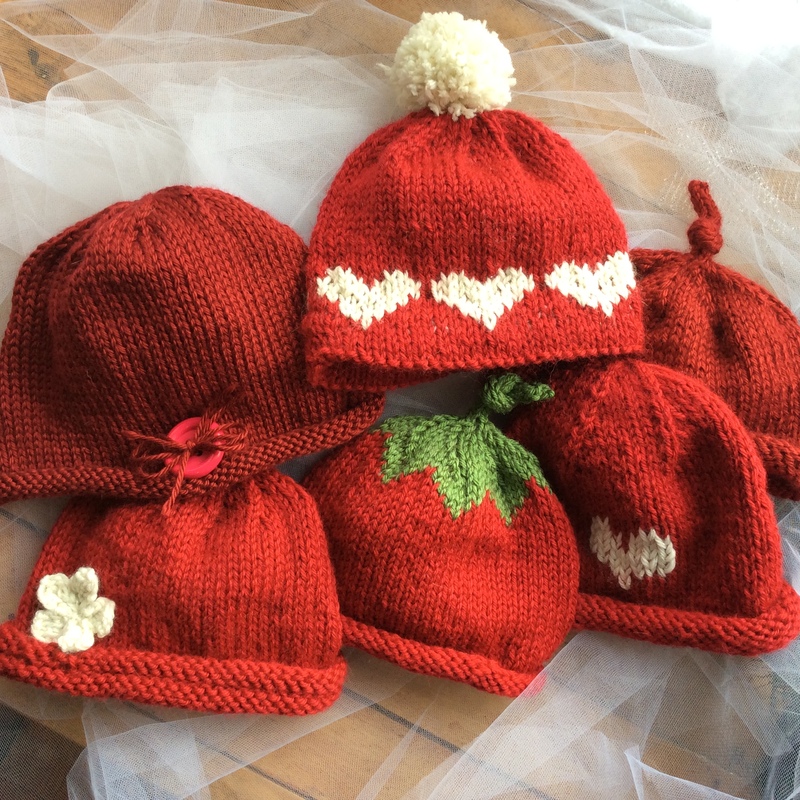 We have made shawls and throws for those in long-term care facilities, hats for families in local shelters and babies in maternity wards, knitted knockers for breast cancer survivors, and toys for children in the Children’s Hospital at Dartmouth. These Sunday afternoons are open to all. Knitting breast prostheses for cancer survivors. 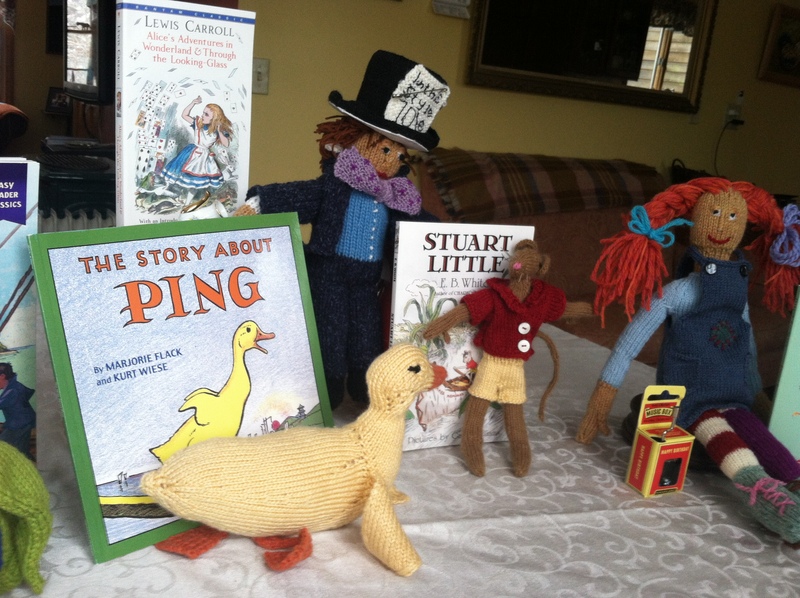 Toys paired with children’s books for the Children’s Hospital at Dartmouth. Knit and Crochet! Every Saturday from 4-5 and every Wednesday morning from 10:30-12:00 is dedicated to teaching knitting and crocheting and helping people with their projects. 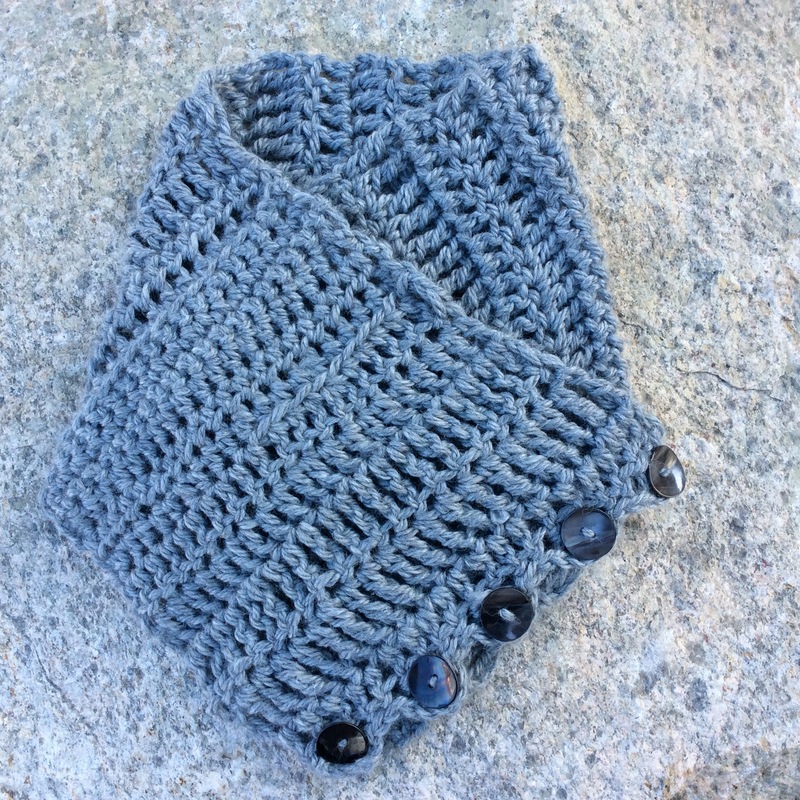 In the learn to knit session, you cast-on either a hat or cowl, learn the knit stitch, and knit in the round, with homework to continue knitting for 7 1/2 inches, and the next week, you finish the project by decreasing the crown of the hat or binding off for the cowl. Quick gratification. If you want to learn crochet, students learn to chain, single crochet, 1/2 double crochet, and double crochet while making a “sampler” cowl. 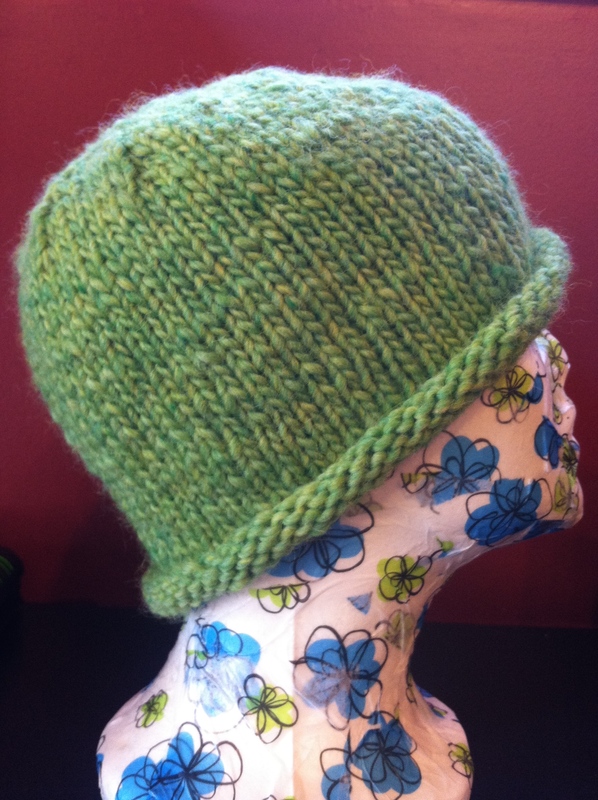 Students make this cute, roll-brim hat as a first project.